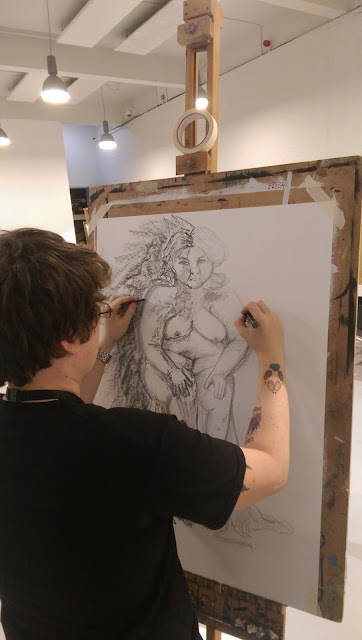 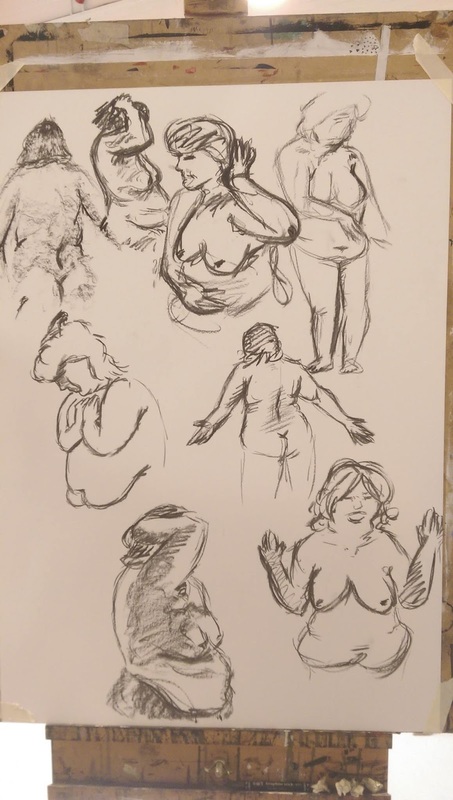 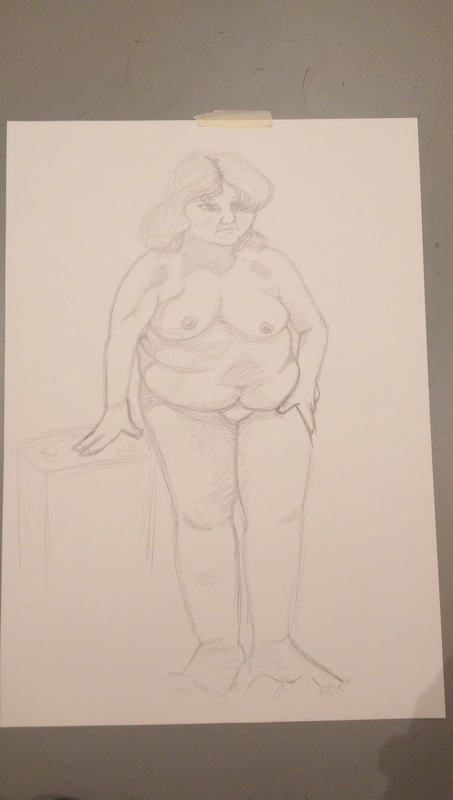 Today's class was more life drawing, this time with a female model. It started the same as the previous life drawing class; we drew one 20-30 minute image as a warm-up then drew four 5minute quick sketches but that is where things changed, we were then tasked with drawing eight 2minutes sketches which was very enjoyable as the images I made didn't feel so stale to me. After that we then ended the session with a single 30minute image which i decided to do rather differently. 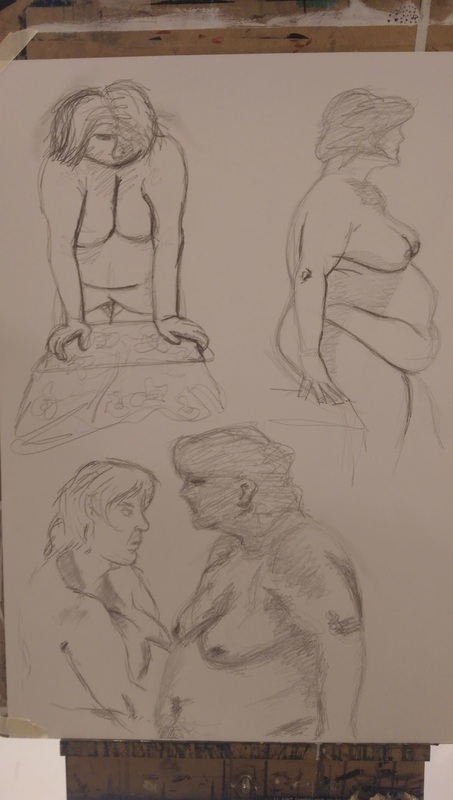 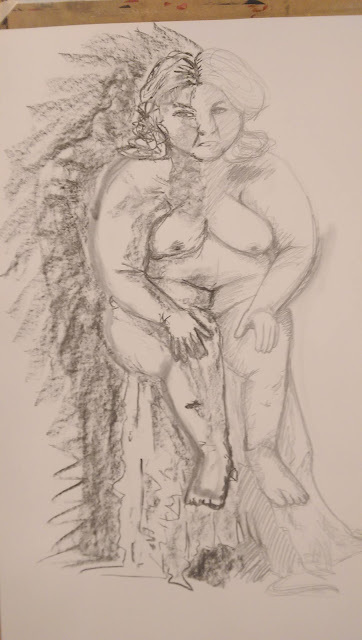 I drew the image with both hands, the left hand used charcoal while the right hand used a 6B graphite stick, i drew each segment at the same time as one another, I did this on purpose to test how well my hand-eye coordination worked when strained as well as my ability to focus on multiple points at once. I doubt this will have any practical use aside from perhaps drawing an image faster than simply using one hand, it will take some practice though as finer details were much harder to draw.